By default TFS doesn’t pay attention to the time part in work item queries when comparing datetime values. If you want to launch a query and you need to take into account the exact timestamp, you must switch off the dayPrecision parameter in the Query constructor. Ever heard of a third (optional) versioning attribute in the AssemblyInfo files: AssemblyInformationalVersion. No? Please read! Without a methodical (assembly) version numbering strategy, the ability to determine what changes were included in which version is lost. In my opinion, you always need to know exactly which source files went into which build and which version of the sofware is currently deployed in a specific environment. A random version numbering system creates confusion and will soon or later cause deployment risks. It will become a nightmare to fetch the exact source files to reproduce a bug from production. 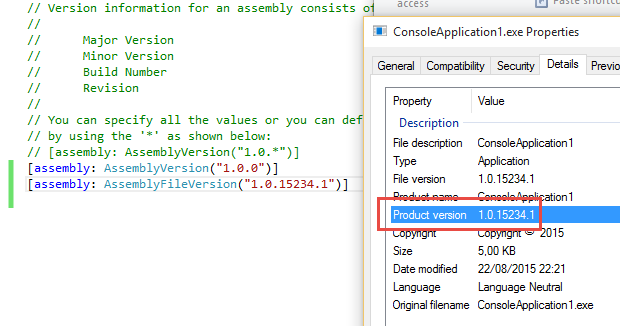 All versioning of .NET assemblies that use the common language runtime is done at the assembly level. The specific version of an assembly and the versions of dependent assemblies are recorded in the assembly’s manifest. The default version policy for the runtime is that applications run only with the versions they were built and tested with, unless overridden by explicit version policy in configuration files. Each .NET project has an AssemblyInfo file which contains an AssemblyVersion attribute and an AssemblyFileVersion attribute. AssemblyVersion: this is the version number used by the .NET framework during build and at runtime to locate, link and load the assemblies. When you add a reference to any assembly in your project, it is this version number which gets embedded. At runtime, the CLR looks for assembly with this version number to load. But remember this version is used along with name, public key token and culture information only if the assemblies are strong-named signed. If assemblies are not strong-named signed, only file names are used for loading. AssemblyFileVersion: This is the version number given to a file as in file system. It is displayed by Windows Explorer. It’s never used by .NET framework or runtime for referencing. But what about this difference between AssemblyVersion and AssemblyFileVersion? Many times, I see that the same version is applied to both attributes … but why are these two (different) attributes provided by the .NET Framework? The AssemblyVersion should be the public version of an entire software application, while the AssemblyFileVersion is more the version of a specific component which may only be a small part of the entire application. The AssemblyFileVersion is the best place to put extra build version information which can be important for patching individual components of a software application. Please follow the Semantic Versioning recommendations to dictate how the AssemblyVersion should be assigned and incremented. For the AssemblyFileVersion, I tend to include specific build information. Often, you will need to build (and test) a number of time a specific SemVer version of your software. 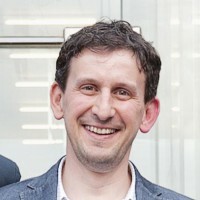 For example: release 1 of a software application could have the AssemblyVersion set to 1.0.0 (all components), while the AssemblyFileVersion of the individual components could be set to 1.0.15234.2 which refers to a unique build number of the build system and is linked to a particular date and a revision: “15” = year 2015; “234” = day number in 2015; “2” = second build processed that day. This also allows to later patch individual components in production with a similar AssemblyVersion (1.0.0), but a different AssemblyFileVersion (1.0.15235.1). Now you should be confused! Why does the Product Version display the AssemblyFileVersion and where’s the AssemblyVersion? The problem here is that a new Visual Studio project doesn’t include a third version attribute AssemblyInformationalVersion which is intended to represent the public version of your entire software application. Note that the CLR doesn’t care about this third (optional) version attribute. 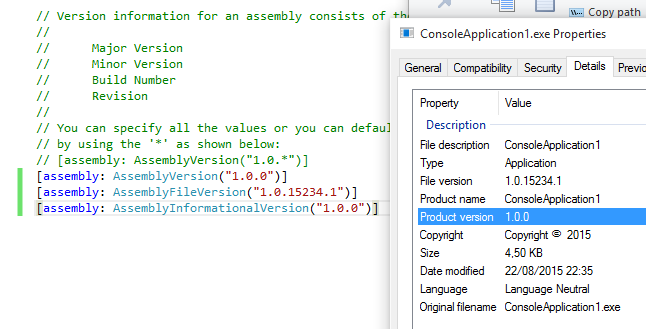 In short, the same Semantic Versioning rules of AssemblyVersion should be applied to AssemblyInformationalVersion. Aha! This looks much better right? Now it’s also easy to extract this metadata from your deployed assemblies and this information can be nicely listed in the about box of your software. The only issue with this approach is that the AssemblyFileVersion doesn’t include the “patch” number (Semantic Versioning) of the AssemblyVersion, but this can be ignored with the fact that the AssemblyFileVersion will be unique and can be linked to a unique build run in the build system. This way of working is my personal interpretation of how versioning can be properly applied in complex software applications and doesn’t reflect official guidelines from Microsoft. My goal here is to make software developers aware of the potential risks of not having a clear versioning strategy. Now, forget about manually setting version information in the AssemblyInfo files and never ever release software from a local Visual Studio build. In a streamlined build process, generating unique build and version numbers are centrally coordinated. For effective troubleshooting and traceability, it’s imperative that the generated assemblies are stamped with a unique identifier that can be easily traced back to a system build number. In a next post I will talk about how you can achieve this global .NET versioning strategy with the new build system in TFS 2015. As a consultant, many times I have to deal with custom requests which cannot be handled in TFS out-of-the-box. Many customizations end up to become valuable for other customers as well. Unfortunately I don’t always find the time to write about it and to work out a more generic solution which could help other people. But recently I got an interesting question to intervene during the test run on the TFS Build Server because a complete test run took way too much time. The solution which was built on the server consisted of a big set of Unit Tests and a big set of Integration Tests. The Integration Tests required a deployment of a SQL Server database with some reference data. All tests were run at the same time and this caused builds to run for a long time, even if one of the Unit Tests failed at the beginning of the test run. The test run only completes (success/failure) after running ALL tests. So, the goal was to quickly detect when a test fails (= fail early!) and to have the possibility to stop the build process immediately after the first test failure (=stop/fail build at the point one of the tests fails). The customer didn’t see any added value to run the remaining tests, knowing that already one test failed. Instead of waiting 30’ or longer for the full test results, the developers could already start fixing the first test failure and stopping the build would also decrease the load on the build server and test environment. We also agreed to only deploy the database when all Unit Tests succeeded. How to separate the Integration Tests from the Unit Tests? 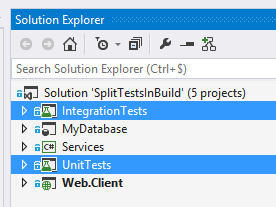 My sample solution above contains 2 separate projects/assemblies to host the Unit Tests and the Integration Tests. 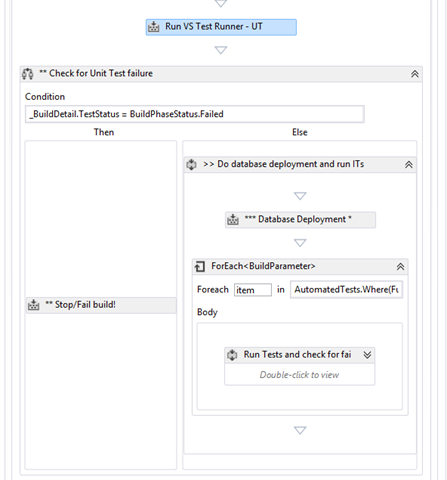 During the configuration of a Build Definition, you can easily define 2 separate test runs. The first test run definition will only fetch the Unit Tests, while the second test run definition will look for the Integration Tests. Note that I specified a specific name for the test run definition. I will use this name later to filter the test run definitions. Creating multiple test run definitions is a flexible and easy way to split your big test run in multiple smaller test runs. How to filter the test run definitions before the execution of a Test Run? Time to customize the build process a bit so that first only the Unit Tests can be run before deciding to proceed with a database deployment and the run of the Integration Tests. Instead of running the default VS Test Runner activity which would run all test run definitions (“AutomatedTests”), you need to filter for the Unit Tests. This can be done by modifying the TestSpec parameter for the RunAgileTestRunner activity. A where clause is added to the AutomatedTests value to search only for the “UnitTests” test run definition(s). Result => only the Unit Tests will be executed by the VS Test Runner. After this test run we can check the TestStatus of the build to stop the build or (in case of no test failures) to continue with a database deployment and the run of the Integration Tests. In the ForEach activity after the database deployment operation I added a TestSpec filter for the AutomatedTests to only fetch the “IntegrationTests”. The sequence in the ForEach activity will then call again the VS Test Runner and check for test failures to potentially stop the build in case of failure in the Integration Tests. The more fine-grained you define your Integration Tests (= different test run definitions, making use of the test assembly file specification or the test case filter), the sooner you can inspect the test results and fail the build without running the other set(s) of Integration Tests. Inspect Test Results during a Test Run (no filters)? In the beginning, I started looking into options to inspect the test results during the ongoing one-and-only test run (no different test run definitions / no requirement for filters). I quickly stumbled on this MSDN page to learn more about the VSTest.Console.exe command-line options. By adding the switch /Logger:trx it’s possible to drop the test results into a Visual Studio Test Results File (.trx), but the problem is that the .trx file is only persisted to disk once the test run finishes. I didn’t find a way to get to the test results while the test run was still executing. To stop the build in the customized build process template, I did throw an exception which is sufficient to stop the build process. You can download the build process template which I used to write this blog entry. It’s far from complete and not fully tested, but it could help you to understand the filtering of the test run definitions. Last Friday I started a long upgrade process to migrate from an old TFS 2005 environment to the latest and greatest: TFS 2013 Update 3 RC. 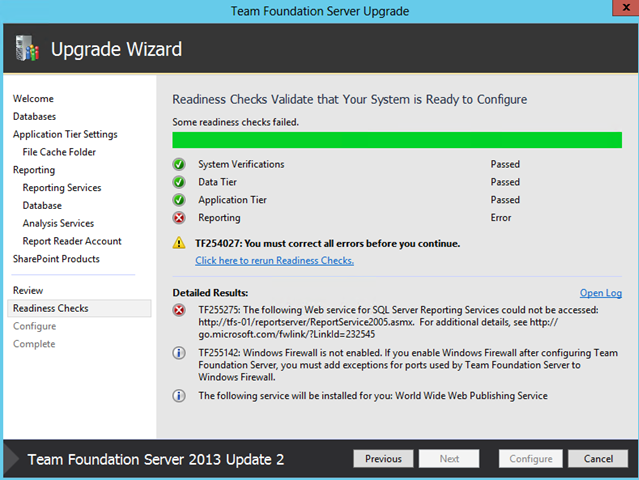 As you know, upgrading from TFS 2005 to TFS 2013 is only possible via an intermediate upgrade to TFS 2010. Both upgrades were full migration upgrades to make use of new hardware. 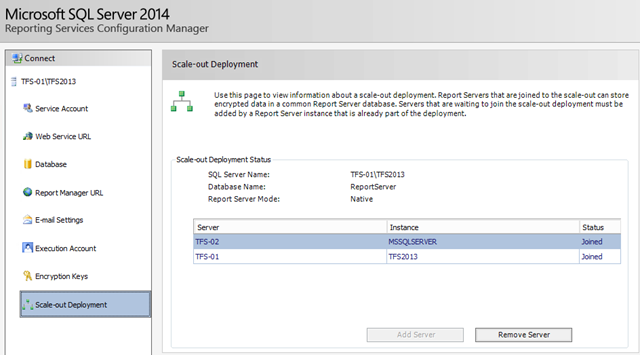 One important note here: make sure you still use Windows Server 2008 R2 to setup the TFS 2010 environment. 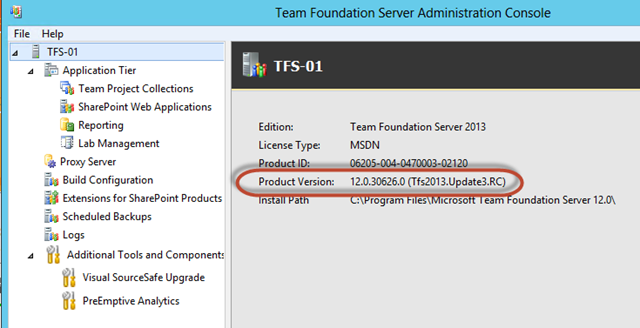 TFS 2010 is not supported on Windows Server 2012! Anyway, during both migration upgrades, I ended up with a “Reporting” error during the verification process in the upgrade wizard. 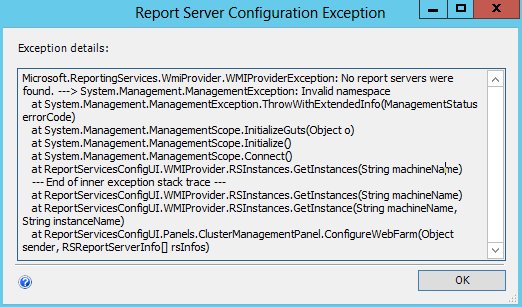 Having done many upgrades before, I immediately had an idea what went wrong and checked the Scale-Out Deployment configuration in SQL Reporting Services. 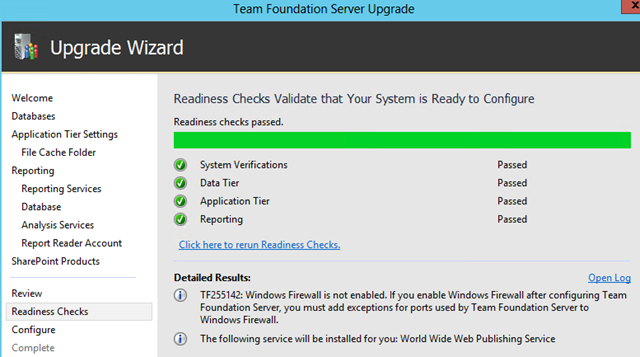 By doing a full migration upgrade (Data Tier + Application Tier), the “old” TFS server (TFS-02) was still joined and blocked the verification process for the Reporting feature in the TFS Upgrade Wizard. 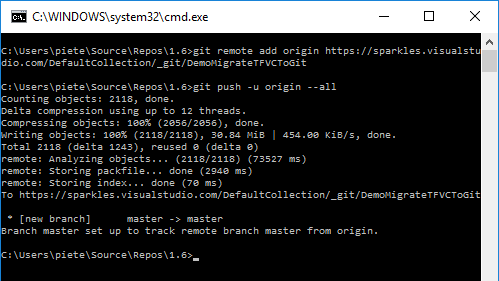 Removing the Server from the UI generates an error, so you need to open up a command prompt to complete this removal process. Use the rskeyMgmt list command and provide the SQL Server instance name if you did not use the default one (MSSQLSERVER). This command will return the guid of the “new” and “old” Report Servers. Copy the “old” guid and use that string to paste it into the rsKeyMgmt remove command. Would love to see this workaround pop up in the TFS Installation Guide for a TFS Migration upgrade. Techorama Belgium – ALM and more! For those who lived under a rock the last couple of months, you might not know yet, but there’s a new big international developer conference in Belgium which will take place on May 27 and May 28: Techorama. Together with Gill and Kevin, I decided to roll up my sleeves! Read the full context why we are doing this. Only 57 days left, so time to have a look at the ALM Track. I’m extremely happy with the speakers who will show up on stage. 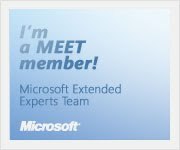 You have to agree, this is a great line up and next to the ALM track, there are many other interesting sessions to follow that fit into one of the other tracks: Cloud, Mobile, Web, Languages & Tools and SQL/SharePoint for Devs. Have a look at the full agenda. So, what’s your reason not to be present at Techorama? What’s missing to get you there? Let us know because over the years we want to make this the best dev conference in Belgium and around! On top of the breakout sessions, Techorama will deliver two inspiring keynotes and during the conference you will have the opportunity to meet your peers and visit our partners. See you at the first edition of Techorama in Mechelen! All feedback is welcome!